Over six tense weeks in the fall of 1982, 550 people were arrested in Warren County, some of them after lying in front of dump trucks loaded with PCB-laden soil bound for a landfill built by the State of North Carolina. With the full support, encouragement even, of then-Gov. Jim Hunt, the state had created the landfill in a largely Black neighborhood to dispose of PCBs, a known carcinogen, from the Ward Transformer site in Raleigh. Those mass acts of civil disobedience launched the modern environmental justice movement. Yet it’s taken 36 years for a governor and an environmental secretary to create an advisory board to address the persistent problem of environmental injustice in North Carolina. 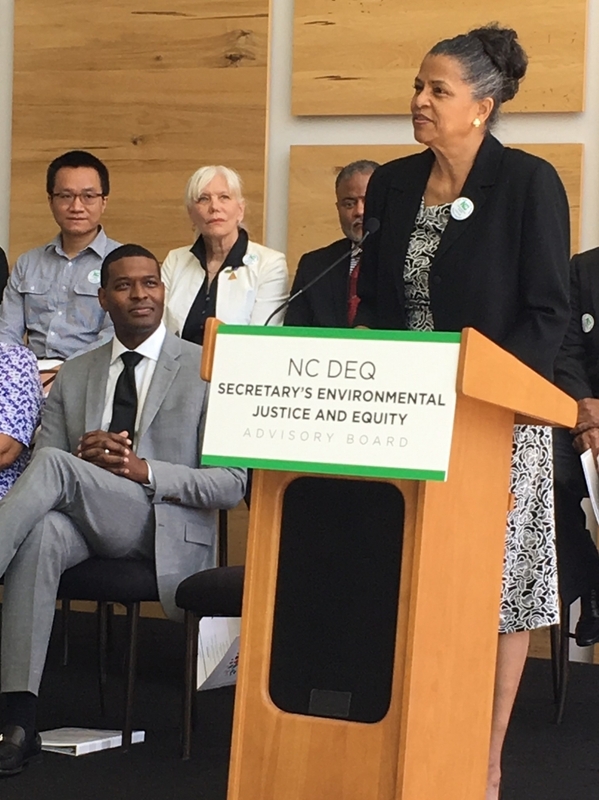 Department of Environmental Quality Secretary Michael Regan announced the membership of the Environmental Justice and Equity Advisory Board today. Its 16 members, inclusive of diverse racial, ethnic, gender and socio-economic backgrounds, plans to meet quarterly. Its charge is to advise Regan and DEQ on how to ensure all North Carolinians can enjoy clean air, water and land in their neighborhoods. Regan explicitly mentioned coal ash, animal feeding operations, GenX and landfills as among the “very tough issues” affecting underserved communities. However, no one on the board is from the communities affected by coal ash. Deborah Graham and Amy Brown, who live within a half-mile of coal ash ponds, said they were disappointed in the omission. Graham and Brown likened this board to the Science Advisory Board, which recently met, inexplicably, in Newton to discuss hexavalent chromium, a component of coal ash. In part, because Newton is not an affected coal ash community, few people attended the meeting and no one spoke publicly. The environmental justice issues facing North Carolina range from the mountains to the coast: wood pellet plants, Superfund sites, the proposed fumigation facility that would emit highly toxic methyl bromide in Delco; the Atlantic Coast Pipeline in eastern North Carolina and the Mountain Valley Pipeline, which was just announced for the Piedmont. 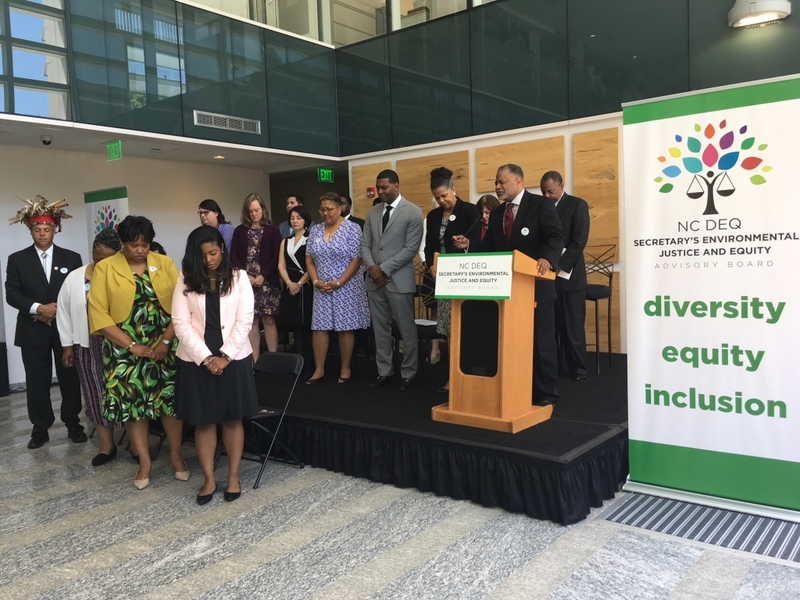 The board’s membership includes academics, such as chairperson James Johnson Jr., a UNC professor who studies sustainable communities, as well as scientists, including Marian Johnson-Thompson, a cancer researcher, microbiologist and educator. Nonprofits also are well-represented. Jamie Cole is the Environmental Justice, Air, and Materials policy manager at the NC Conservation Network. Naeema Muhammad of the NC Environmental Justice Network is a driving force behind the protection of neighbors of industrialized hog farms. Physicians for Social Responsibility (www.psr.org).